Best Things to Do In Bali Indonesia – The Island of the Gods (i.e. Bali) is on the to-go list for many people. If you’re reading this, there’s a high chance you’ll be heading there soon, and what an adventure awaits you! Bali is an island full of love, life, and everything in between. Even for people who have been visiting for years, over many different trips, Bali continuously surprises them with new activities being introduced, new restaurants splashing into the foodie scene, hidden gems being discovered, and beachside clubs popping up around the island and continuing to hype up the party scene. The food is seriously cheap, the beers are pretty much at happy hour prices all day long, and whilst the wines are usually for classier affairs (and thus set at classier prices), you can easily have the time of your life with buckets of Coronas by the beach at a fraction of a price you’d pay back at home. Heading to Bali means you’ve got a plethora of things to do, more so than many other countries that cost the same. There are just so many ways you can make use of the gorgeous beaches lining the coastlines of the island, or so many rainforests you could be exploring to discover waterfalls at the end to go swimming in, or, if all you really want to do is laze around under the sun, you’ve got pretty much unlimited options of beach clubs that set the right vibe and atmosphere for a relaxing (and memorable) afternoon sipping on cocktails overlooking the stunning sunset that Bali is famed for. Below we’ve listed the top 10 things you shouldn’t miss whilst visiting this amazing island. Go through all 10, or attempt to try one, but whichever it is, know that you’ll never be stumped for things to do – if you ever are, well, maybe you’re just not giving the rest of the activities a good enough chance! Surfers of all levels, from beginners to experts, know exactly what Bali offers when they fly over with their wetsuits and surfboards. The waves of Canggu and Uluwatu, and so many more beaches around the island, have made splashes on articles across the world about just how perfectly conditioned they are for surfers who enjoy big waves with pleasantly warm water temperatures. Surfing in Bali is so great that an entire culture has been developed around the activity. On any given day during the year, you’ll most likely spot a surfer padding around the beaches in their wetsuit or grabbing a beer at the beach clubs after an intense afternoon of riding the waves. Lining the more popular beaches will be many businesses which cater just for the surfers, from rental stores offering gears for all levels of surfers, to businesses who offer professional lessons for anyone and everyone who wants to learn. If you’re an adventure-seeker and want to try something a little different, this could be it! Imagine the first time you stand on your board, riding one of the most epic waves in Bali. That feeling will be indescribable. The prices are relatively cheap, and most people come away from this activity feeling accomplished and having had so much more fun than they realised they would have. Best Things to do in Bali Indonesia #2 – Eat at some of the best restaurants in the world! Foodies, rejoice. You do realise that Bali is quickly rising to become one of the most recognised food meccas in the world, right? Renowned chefs and restaurateurs from around the world have been flocking to Bali for many years now, opening up eateries across the island that both challenge the norms of traditional dishes and induce creativity into the food scene like never before. Whilst many of you can hardly wait to get your hands on some authentic nasi goreng and babi guling at the local mom and pops, don’t discount the Mediterranean, western, and other South-East Asian restaurants, because the chefs there absolutely know what they’re doing when they say they’ll serve up the meanest spanner crab linguine, smoked rack of ribs, or pad thai you’ve ever had in your life. Some of the gastronomical experiences that visitors have had on Bali have been the best they’ve ever had in their entire lives. If you’re imagining biting into a slice of pizza on a balmy summer night whilst overlooking the ocean with soft music playing in the back as the ultimate dining experience, then you’re definitely in luck, because that’s exactly what dining at some of the best restaurants in Bali would be like. Read our article on the top 10 best restaurants in Bali, and find out what you just can’t miss out on. On a tropical island like Bali, you best believe that snorkelling and scuba diving are some of the best activities you can do! The all-year-round warm temperatures of the waters off the coastlines, even during their colder, wet seasons, average lows of 21 degrees (Celsius), so if you’re the type who’s avoided ocean waters because of their often sub-arctic temperatures, then you don’t have to worry. 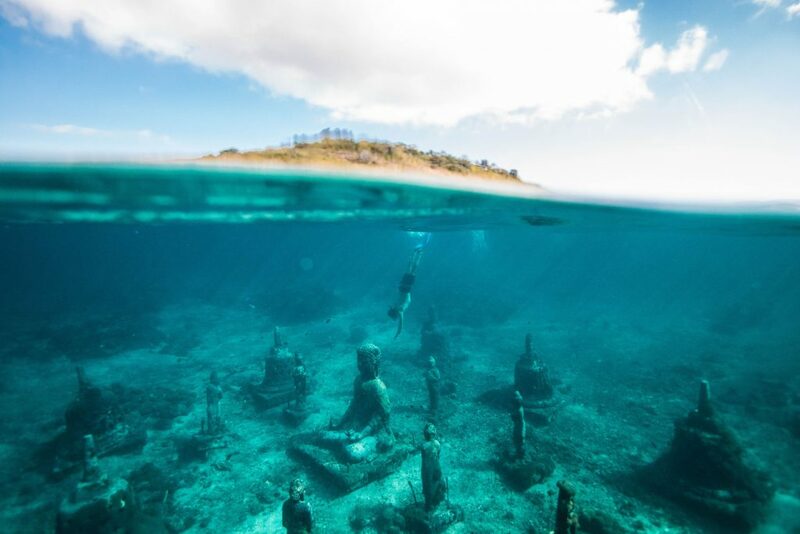 The warm water temperatures are one thing that set the perfect conditions of Bali’s waters for snorkelling – you have to see the underwater life to believe just how beautiful it is. The marine ecosystem in famed diving areas like Amed, whilst a bit further away from the main tourist crowd areas, feature some of the most amazing coral systems, shipwrecks, and schools of fish you’ll ever see in your life. There are lessons for beginners and packages for experts – the whole shebang for anyone who wants to give diving a shot. Have you ever heard of the famous snorkelling activities in Nusa Penida? If you haven’t, know that many people travel to this small island off the coast of Sanur to snorkel in the crystal clear waters of Manta Bay with hopes of spotting the magnificent Manta Rays who happen to congregate around those areas. These gorgeous, harmless creatures pop up every now and then and you’ll get the chance to jump into the waters with your snorkel gear to see them up close. Its definitely something you don’t want to miss. We’ve got an entire article dedicated to the best tours you can book to snorkel and/or scuba dive which you can check out here: Scuba Diving Bali. The Balinese culture is not something to take lightly. From the moment you step off the plane, you’ll see it deeply rooted in the mannerisms and respect shown by the local people; wake up early in the mornings for a stroll and you’ll see it silently yet feel it loudly across the villages in the forms of stunning and numerous offerings; take a moment to smell the air and the distinct scent of incense will undoubtedly waft up your nose sooner or later. Tradition and culture go hand in hand on this island, and if you would like to take the time to head outside of the populated city areas for a while, you’ll come to find that the temples of Bali are nothing short of legendary. There are far more temples that you can visit than you’ll ever know, however, lately, with the assistance of photo-sharing apps like Instagram, you’ll be able to see just how stunning they really are. Some are a few hours away from the city areas, some are still within the city walls, however, every single one have their own unique charms and characteristics that you need to see in person to really appreciate. 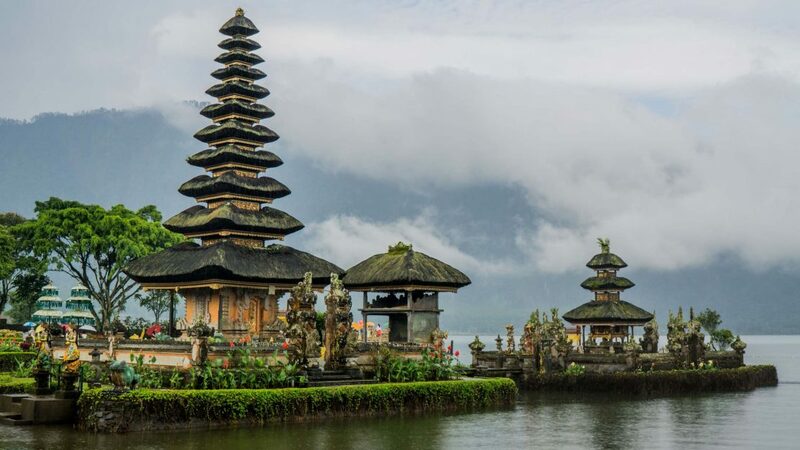 If you’re interested in visiting a few, we’ve covered the top 10 temples in Bali that you really shouldn’t miss here, so have a read, and dedicate some time out of your itinerary to visit these incredible structures. Let’s be honest, who hasn’t heard of the party scene in Bali. International artists like Martin Garrix, Tiesto, Chainsmokers, Ellie Goulding, and so much more have performed at music festivals that have made their way to the stages of the famed Potato Head Beach Club and Ku De Ta. Whilst you may have missed them performing in your own home country, there’s a chance you could catch them on the world’s biggest party island! 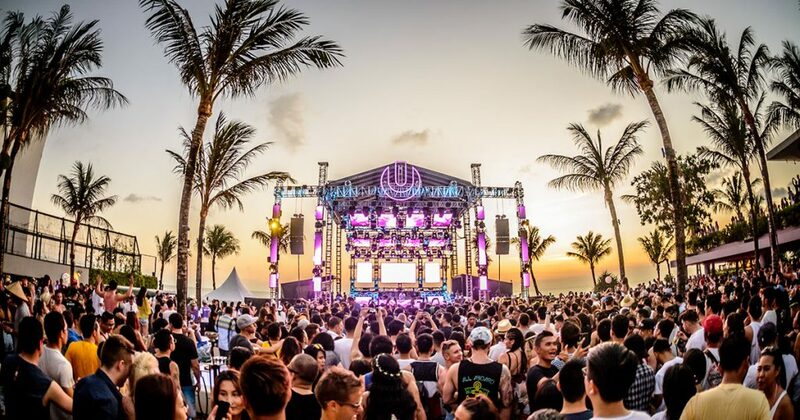 International music festivals such as ULTRA, Dreamfields, and PACHA have all made appearances in the past in Bali, with some of them still going strong year after year, and many others popping up in the party scene, hoping to garner the legendary crowds that the beach clubs claim to be able to attract. Bali’s party scene is truly international at its peak. With music festivals bunching up around the August to September period, if you’re heading there during that time and have purchased some tickets to a wild music festival, just know you’ll probably be rubbing elbows with the likes of Europeans, Americans, Asians, and probably many, many Australians who have been lured by the sense of big party fun at small costs (just like you!). Some might claim that slowly getting drunk off cocktails at beach clubs may be the classier version of partying it into the night at a club in Kuta, and, to an extent, they’re right. In Bali, it’s 100% accepted to get dressed up to the nines, head to popular beach clubs such as Potato Head Beach Club, Finns Beach Club, KU DE TA, and the Rooftop Sunset Bar at Double-Six, and just drink your way into the night with cheap beers, funky cocktails, and the occasional drunkenly ordered wine bottle that tomorrow’s you might regret but today’s you knows is the absolute right thing to do. 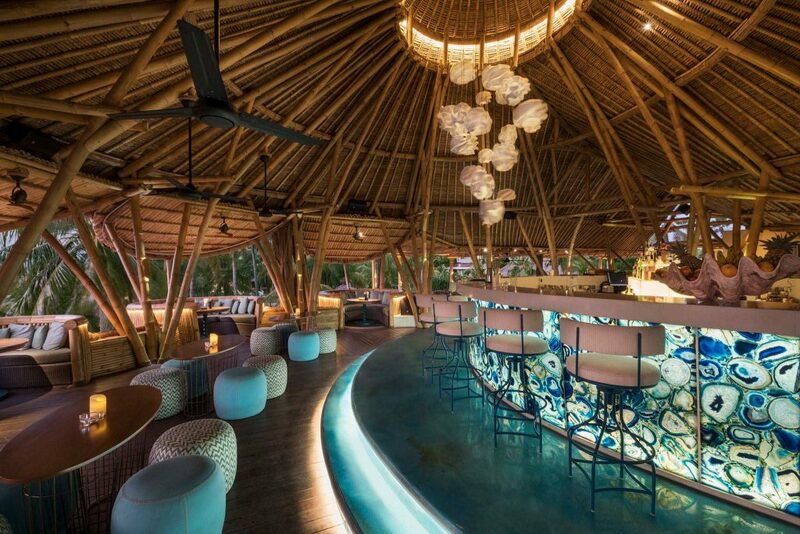 Above is the teeniest, tiniest fraction of the best beach clubs and bars in Bali. There are so many more that haven’t been mentioned, and so many more that are popping up around the island that deserve to be discovered. 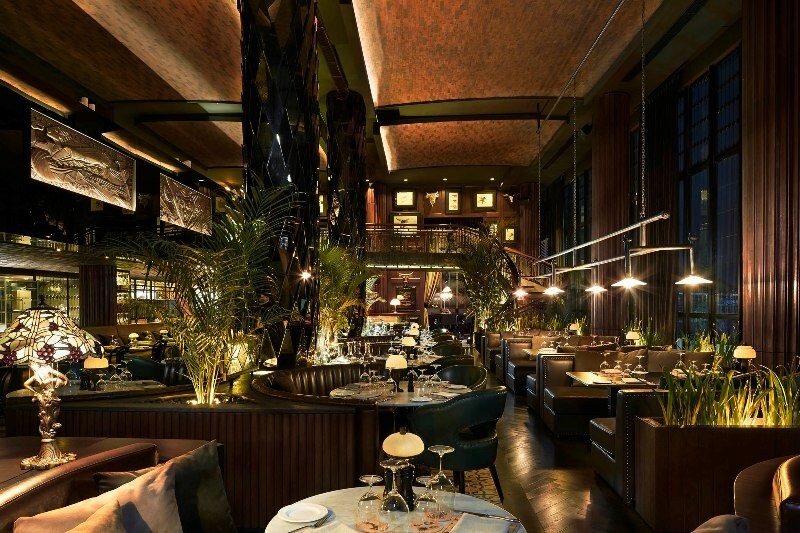 Places like Starfish Bloo have taken it up a notch and, whilst it’s not exclusively a beach club or a rooftop bar, offers the famous Sunday Brunch – for a fixed fee, everyone gets access to their brunch buffet and unlimited drinks (both alcoholic and non-alcoholic) until 3:00pm. 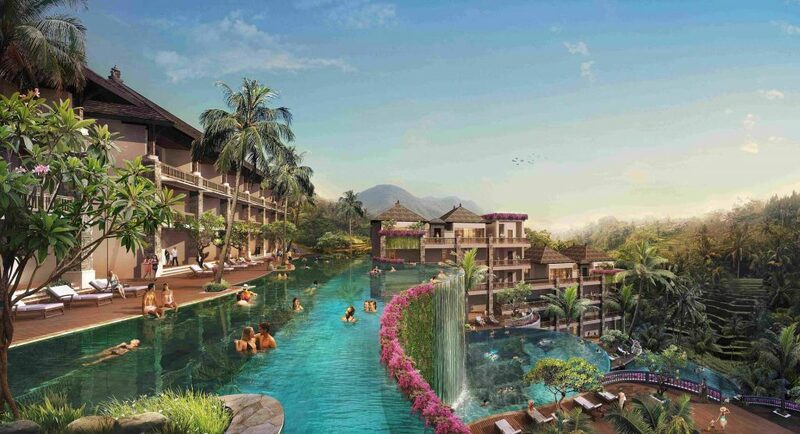 It’s been raved on about by thousands of satisfied patrons, and since it’s situated within the W Bali, Seminyak, you know the views will just be magnificent. Munching on a croissant, sipping on a wine glass, watching the waves crash onto the beach? Yes please. You haven’t truly lived until you’ve visited at least one beach club and one rooftop bar in Bali, but to truly make the most of the experience, know that you’ll need to be visiting one every day to appreciate the experience for what it truly is. This activity has been slept on for so long in Bali that it’s time it got the attention it deserved. Whilst there are hundreds of people who are aware of the superior yoga resorts available in Bali, the yoga culture is still growing, and thus is often overlooked as an activity to enjoy in Bali. 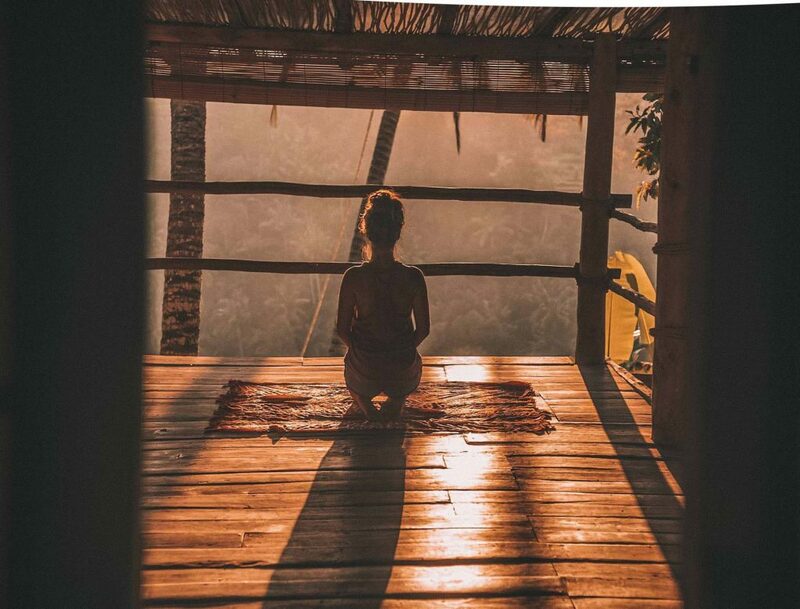 However, you should know that booking in a yoga retreat, whether it be for 2 days or 10 days, is one of the most rewarding things you could do for yourself, both mentally and physically. Yoga has long been proven to be therapeutic for the mind, and challenging in the best way possibly for the body, and to practice such an activity in the idyllic countryside of Bali where stunning rice terraces surround you, hidden waterfalls are just a short walk away, and the locals welcome you with open arms is as perfect as it can get. There are some retreats that even combine intense yoga sessions with surfing lessons, thus you get a taste of two of the things that make Bali such an amazing country to visit. Many of these yoga retreats are situated within local villages so even living amongst the locals is an experience in itself. However, some are situated in areas such as Canggu – far enough from the likes of Kuta so there’s still peace and serenity surrounding you, but close enough for you to travel back and forth easily should you choose to. Surprisingly, they’re quite affordable too! If you’re keen to give this a shot, check out our article on the best yoga retreats that Bali has to offer. One could say that the allure of the jaw-dropping rice terraces in Bali is the key to why many people want to visit the gorgeous island. One look at the stunning pictures that almost every Bali visitor takes whilst there can instantly sway anyone’s mind to come. If you haven’t already come across an image of them, do yourself a favour and have a look now – you won’t be disappointed. Whilst they’re the bread and butter for the farming community in Bali, the farmers are more than happy to share the fruits of their labour with you, as long as you respect their lands. People travel far and wide to see the stunning fields of grass, kept perfectly sowed by the dedication of the farmers. Pro tip: to get the best pictures, you need to be set up by sunrise, or wait around until sunset. As the sun’s rays barely peak through the clouds, the gleam of the waters on the field will be reflected and you’ll be able to imagine that that’s what heaven is like. 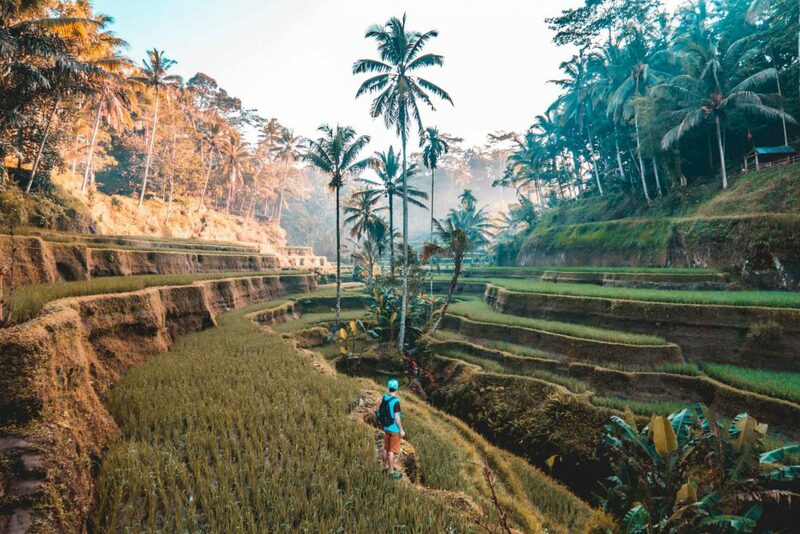 We’ve done the hard work and scoured the 10 best possible rice terraces for you to visit whilst in Bali, some of which can be visited within a few hours, whilst other might take half a day to get to, but will yield pictures you’ve never seen the likes of before. If you’re interested, have a read of our article here: Bali Rice Terraces. We know, it sounds a bit funny doesn’t it, heading to the wonderful island of Bali…to go further island-hopping on islands off its coast? Well, it’s not as crazy as it seems! 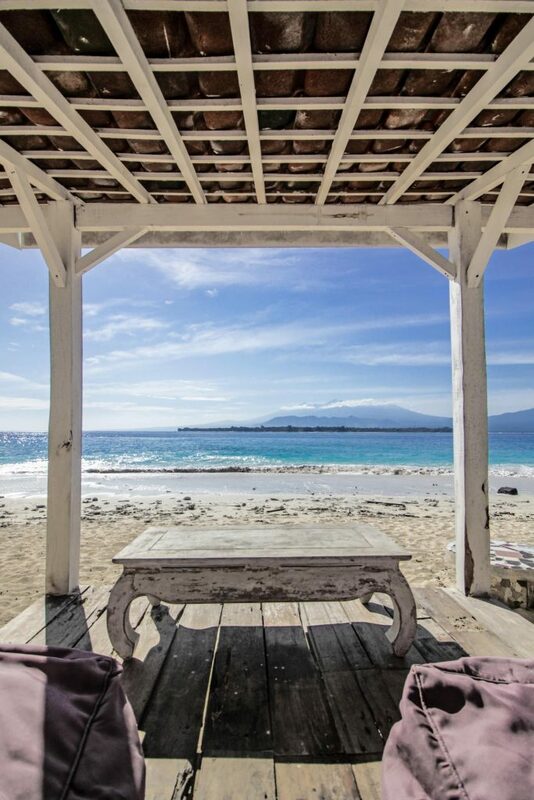 From the adventurous island of Lombok east of Bali, so the idyllic Nusa Penida off the south-east coast, to the stunning paradise Gili Islands off the northwest coast of Lombok, all are incredibly and transparently easy to get to from the mainland of Bali. One of our favourite islands is Nusa Lembongan, big enough to encompass some fun activities that will take a few days to do, and yet small enough to feel like you’re away from the rest of the world. If you’re got an adventurous spirit, chances are, you enjoy waking up in the wee hours of the morning to go hiking for waterfalls. Bali is the perfect place to do that! Whilst this activity is slowly but surely gaining traction amongst all the tourists in Bali, there are still so many hidden gems deep in the forests and, surprisingly, high up the mountains that can be discovered if one were to just dig a little deeper in their travels. One of the greatest sense of satisfaction one could have is to climb up (or down) a million (or a hundred) flights of steps, build up their appetite and work their muscles, just to settle down for a leisurely picnic by a stunning waterfall and then going for a relaxing swim afterwards. 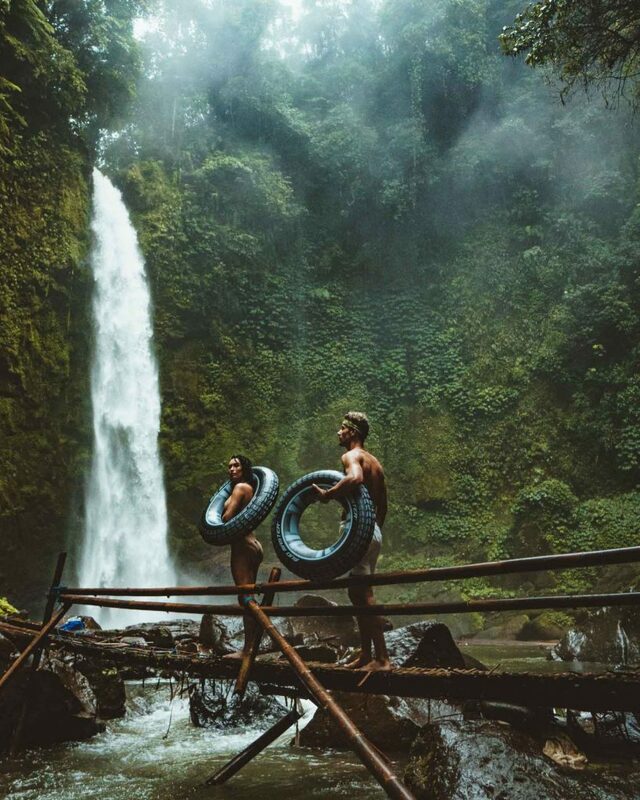 Almost all the waterfalls in Bali allow swimming, and its truly the ones that make you work the hardest that reward you with the best view and ultimately the best experience. Some cascades fall magnificently from over 20m up the cliff, others are safe enough for you to go sliding down from the top all the way into the pool at the bottom; some waterfalls will allow you to walk right up the rocks to sit directly until the water flow, and others will deposit into a pool so wide, you’ll be able to be swim laps. If this doesn’t get you excited, we don’t know what will! If you’re keen to give some waterfalls a visit, have a read of our extensive article outlining the absolutely best waterfalls Bali has to currently offer. We’ve covered the popular ones as well as the local hidden gems, so you can take your pick! Have a read here: Bali Waterfalls. Well, there you have it! 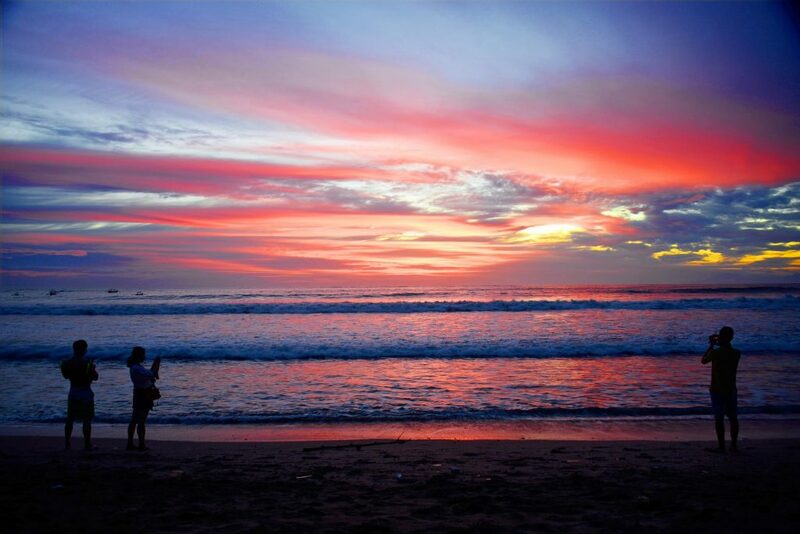 This exhaustive list of things to in Bali will keep anyone busy on their toes. Rest up, party hard, hike heaps, practice yoga, try all the cocktails, eat all the pizzas, swim in all the pools, appreciate all the rice fields, take a moment off at all the temples, swim amongst the turtles and party it up on the surrounding islands – Bali is a massive adventure waiting to happen.